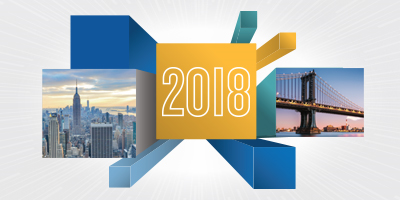 Now in its eighth year, The Clearing House ’s Annual Conference is the 'go-to' conference for key regulatory, legal, and payments issues facing America ’s largest commercial banks. Held for two and a half days at The Pierre, The Clearing House ’s Annual Conference brings together the industry’s leading executives and thought leaders – C-suite financial services executives, policymakers, regulators, journalists and academics – to tackle the industry’s toughest issues and explore its biggest opportunities through thoughtful, fact-based, and personal dialogue. The Clearing House will be at ePayConnect as a Platinum Sponsor on March 4 - 6 at Disney's Coronado Springs in Orlando. Our industry experts will be available at the TCH booth to talk about any of our products, including RTP® and ECCHO. Presenters from The Clearing House are Peter Davey, Vice President, Payment Innovation, Steve Ledford, Senior Vice President, Product Development and Tim Mills, Vice President, Product Development.